Through testimony and rare archives, the United Against Genocide: Understand, Question, Prevent travelling exhibition invites audiences to identify the similarities and differences between four genocides: the Armenian Genocide, the Cambodian Genocide, the Genocide against the Tutsis in Rwanda and the Holocaust (Shoah). We can prevent future recurrences of genocide by being informed and remaining vigilant. 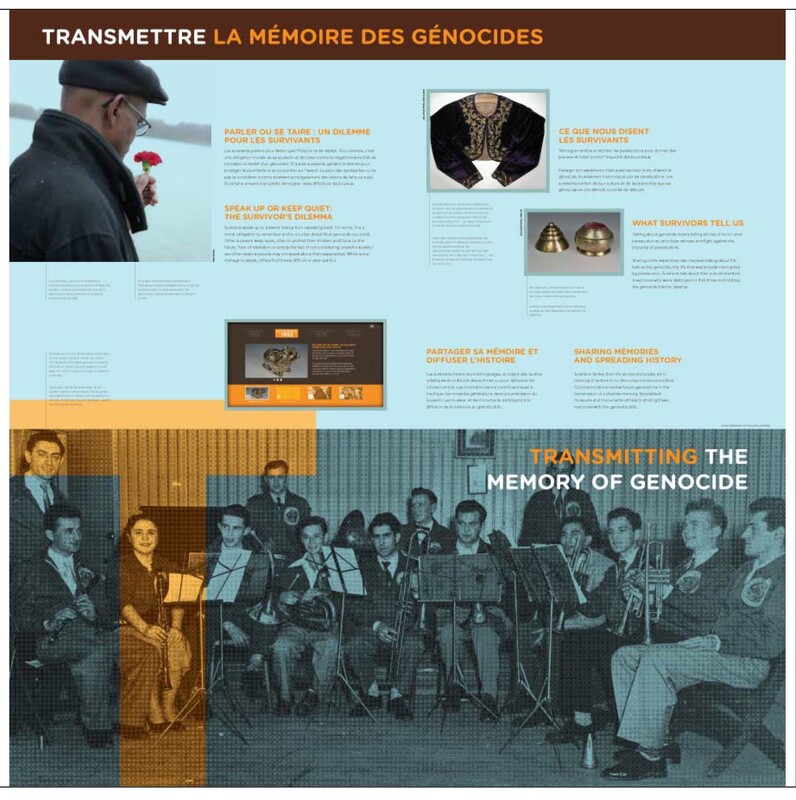 This exhibition was created by the Montreal Holocaust Museum in partnership with Centre Khemara, the Armenian National Committee of Quebec and Page-Rwanda, with support from the Alex and Ruth Dworkin Foundation. 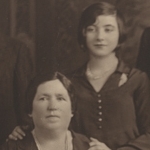 The exhibition presents numerous archival photos, rare historical documents, as well as interviews with experts and survivor testimonies. The exhibit is divided into six sections: First, it defines the stages of genocide. 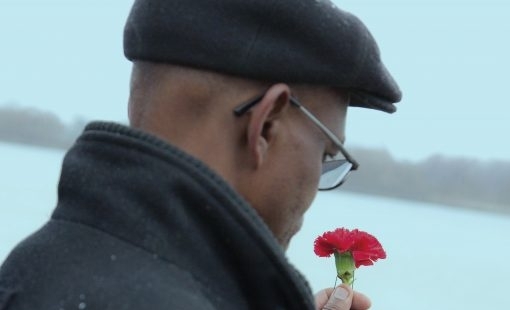 Then it demonstrates the role of survivors in the transmission of memory and the quest for justice. 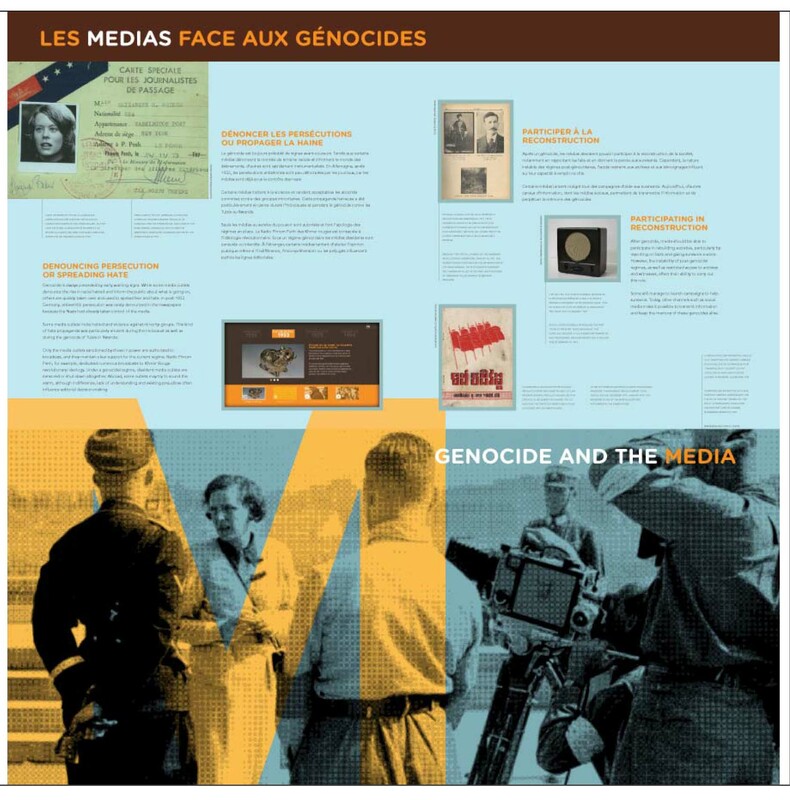 It helps us better understand the role of the media before, during and after genocide as well as the different forms of resistance that can be undertaken. Finally, it explores four current escalating contexts of violence (in Burundi, Iraq, Myanmar and South Sudan) through concrete examples of intervention. 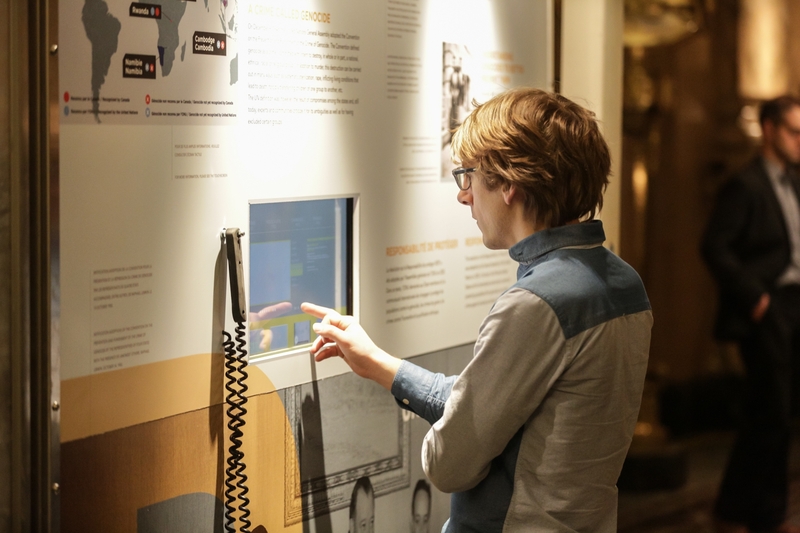 The travelling exhibition, “United Against Genocide: Understand, Question, Prevent” contains a multimedia system with testimonies, interviews with experts and timelines. 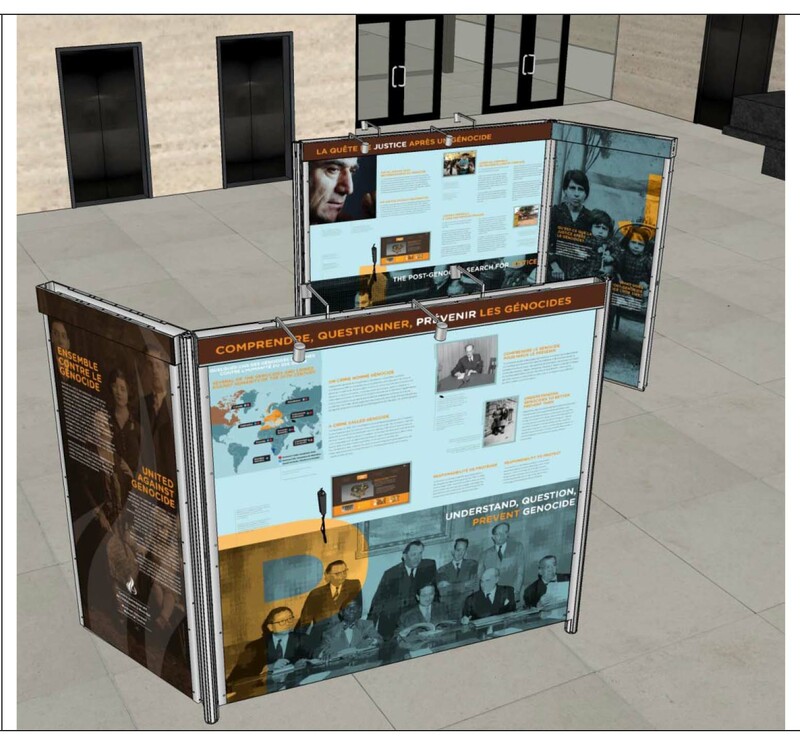 This “all-in-one” travelling exhibition is freestanding, with its own lighting system and 6 touch-screens. Teachers can download the accompanying pedagogical guide and visit the virtual version of the exhibition. The pedagogical tool uses the following approach: students are asked to work on a definition of genocide and analyze its stages. Then, after researching examples of resistance during genocide, they will better understand how individuals can play an important role in prevention and intervention. 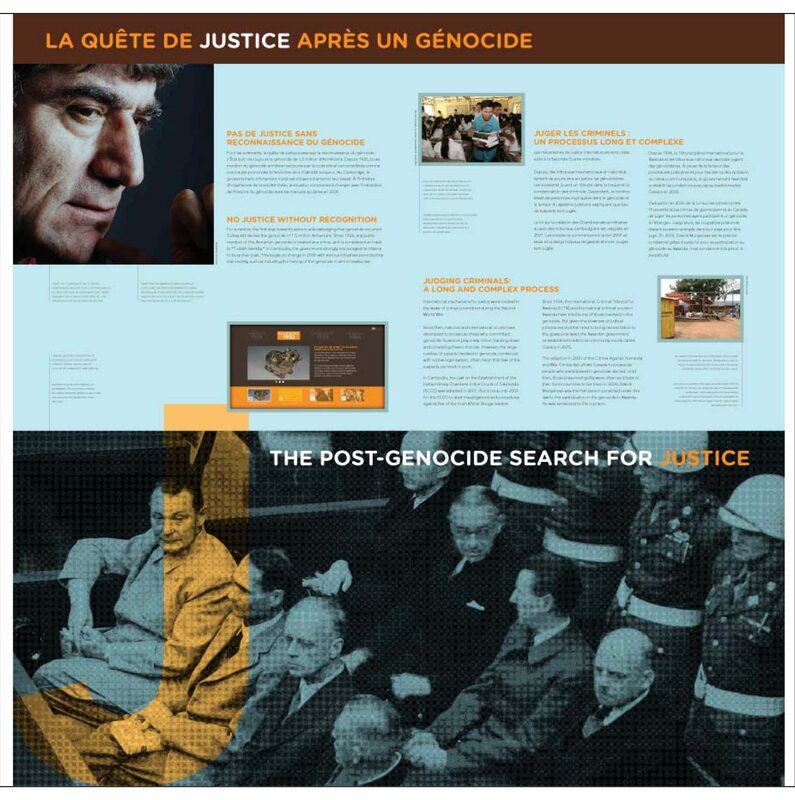 Finally, students will continue their study of genocide by further reflecting on four subjects: the media, resistance, justice and prevention. This activity is suitable for secondary school students. 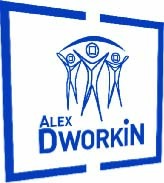 Exhibition created with the support of the Alex and Ruth Dworkin Foundation. 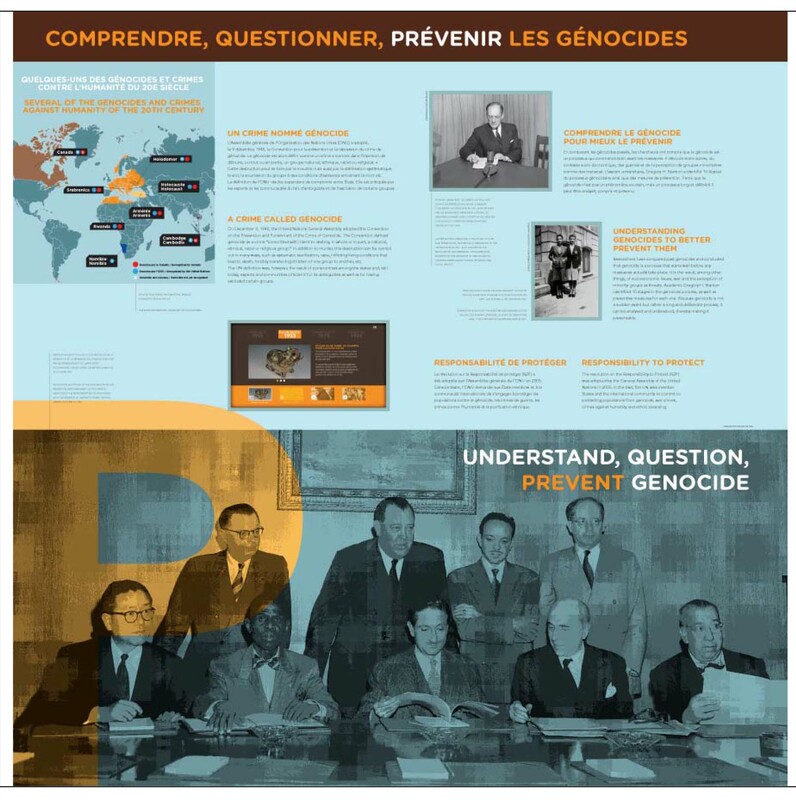 Discover more themes about genocides and their prevention as well as renewed content.